Why am I posting about lemon tartlets when everyone is trying to keep their New Year’s Resolutions to eat healthy? For one, they’re pretty darn cute. And for two, the alternative was to post about my latest cooking adventures where I pull items out of the back of my overflowing freezer and try to make dinner out of it (aka Freezer Surprise). Needless to say, the family was happy when the freezer was back to a manageable state and I turned my attention to the sizable stash of citrus that was accumulating on the kitchen counters. Trust me. You’re much better off with a recipe for lemon tartlets than Freezer Surprise. Between a very large box of homegrown oranges, lemons, mandarins, and kumquats that a client had given me and three grocery bags of grapefruit and meyer lemons from my sister’s trees, I could have opened up a pretty good fruit stand. Instead, I experimented with citrus curds – namely lemon, lime, mandarin and grapefruit curds. Of course, I needed a place to put all that curd and tartlets were a natural choice. This is a great curd recipe because it easily adapts to any citrus. It also comes together very quickly so you can make a couple of batches in different flavors without too much effort. Lemon tarts will always be a classic but lime, orange, and grapefruit are delicious variations. So many varieties of citrus are in season now so have fun and experiment with the possibilities. If you’re looking for more ways to use lemons, check out these other recipes. 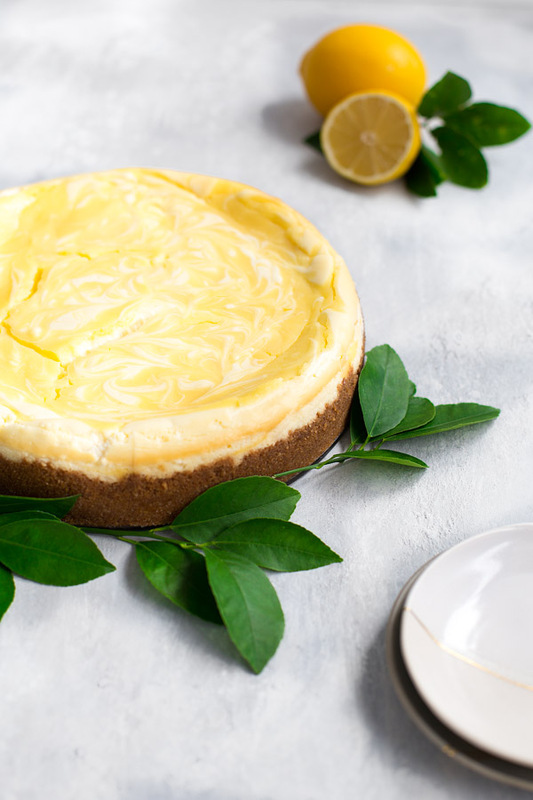 This lemon curd marbled cheesecake is a family favorite. 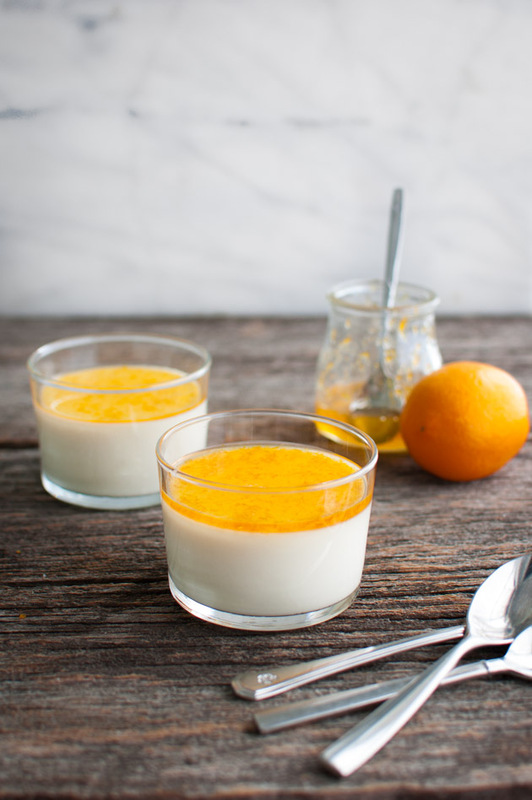 This panna cotta is a great way to use meyer lemons.